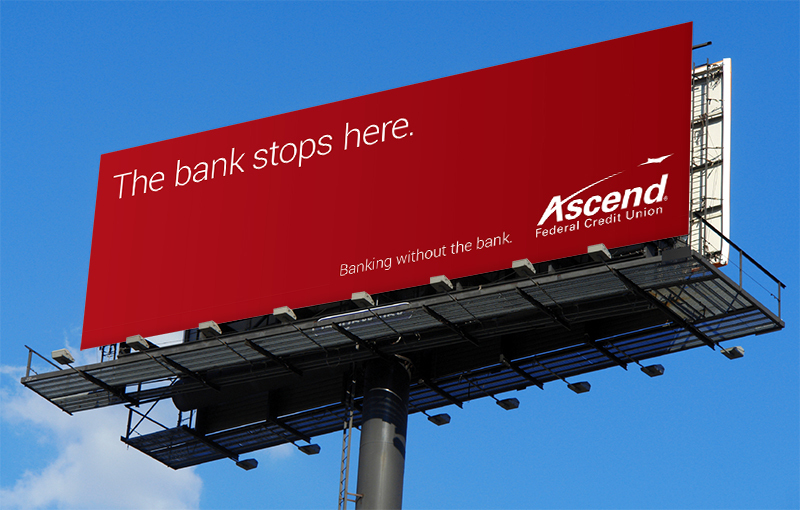 A branding and positioning project I did for Ascend Federal Credit Union, working through Lewis Communications, Nashville. 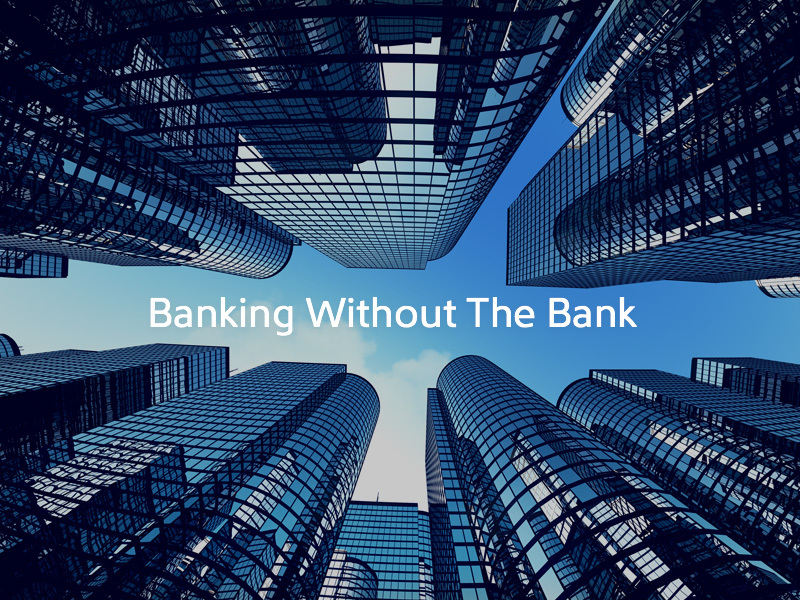 The key positioning line, “Banking without the bank” replaced a long-running theme that was good but simply didn’t fully define or differentiate enough. 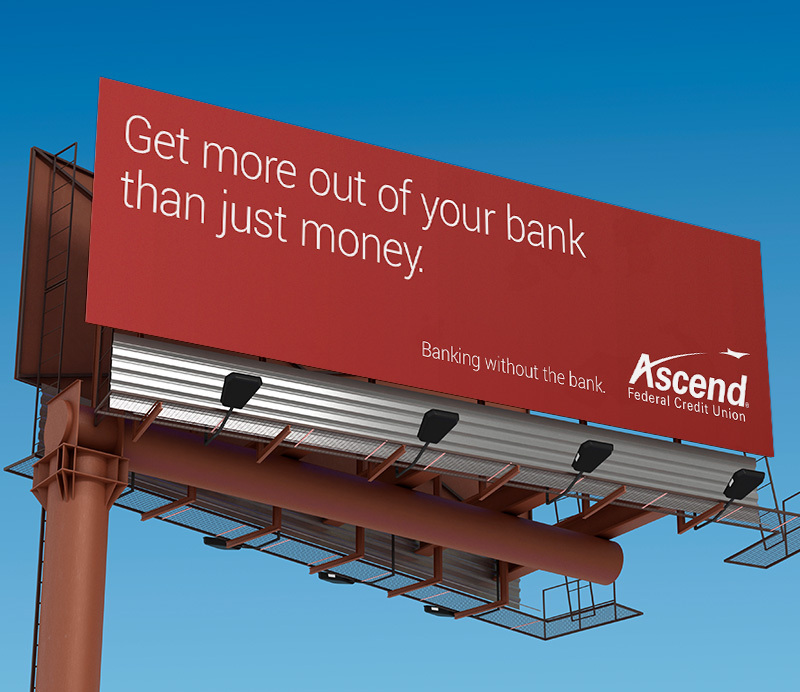 Ascend Federal is a credit union. 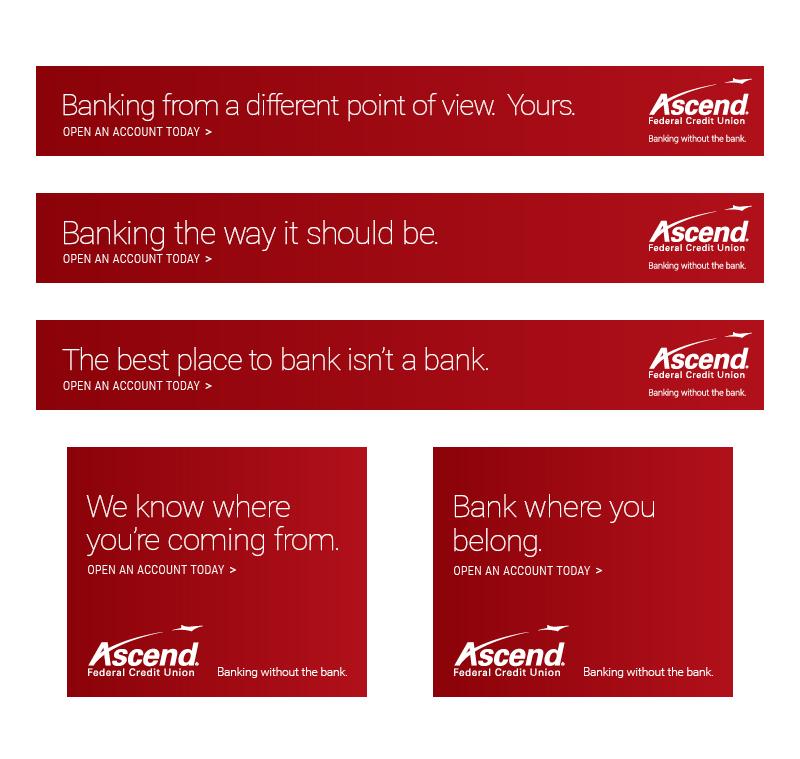 We wanted to let people know that Ascend is like a bank. 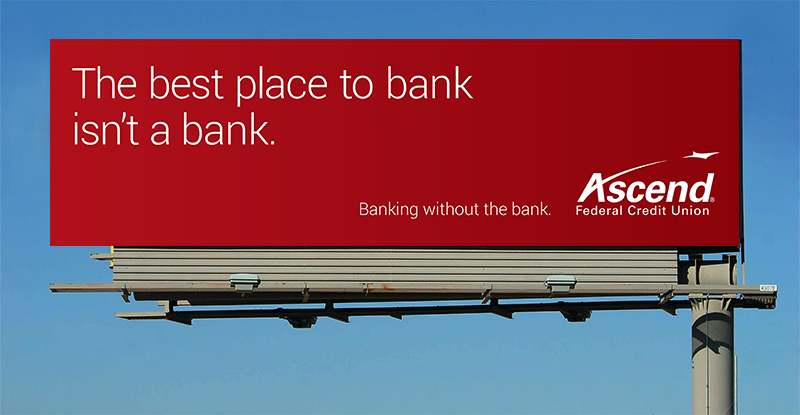 But because of their structure they don’t have to act like one. 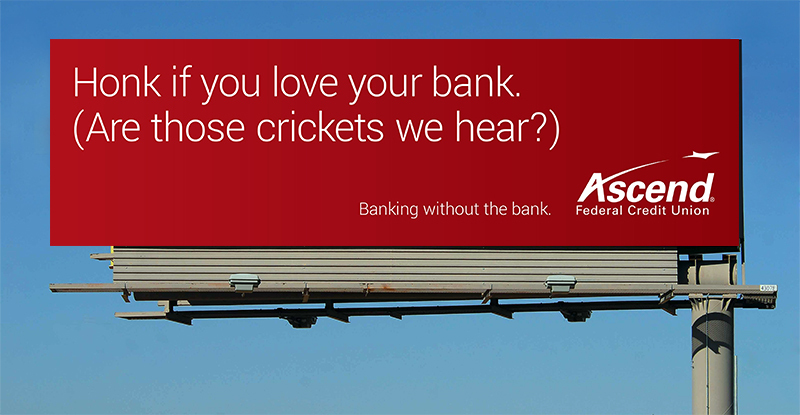 We further defined the new theme with playful yet poignant headline-drive ads in outdoor and online campaigns.